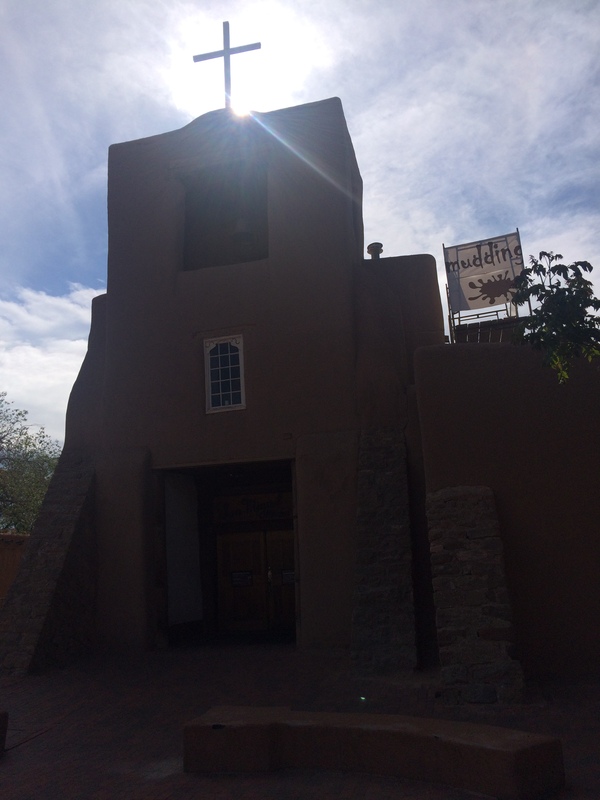 Over 160 years ago, three Jewish brothers from Gau-Algesheim, Germany, left their homeland as young men and somehow ended up on the frontier, traveling the Santa Fe Trail, bringing goods to the towns of the New Mexico territory just recently acquired by the US after the Mexican War, and eventually establishing a store on the plaza of Santa Fe: Seligman Brothers, a store that lasted over 70 years before closing in the 1920s. 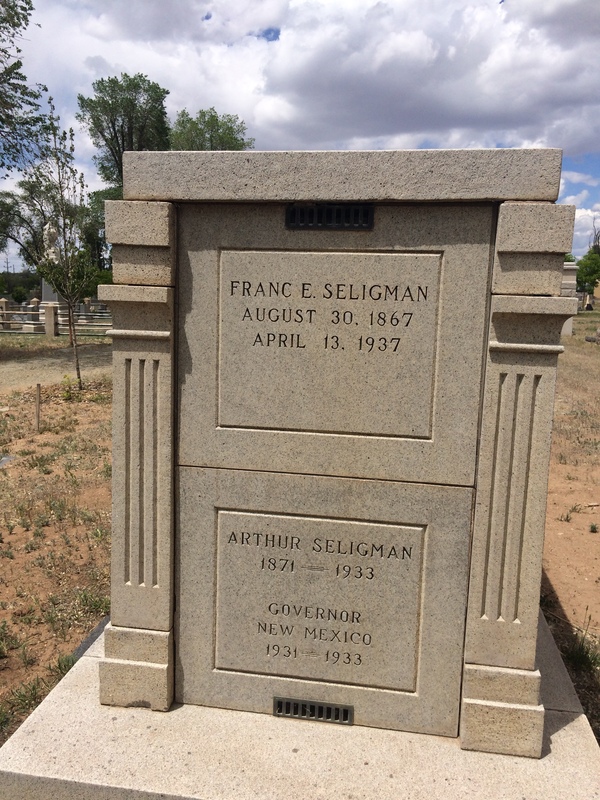 One of those brothers was my great-great-grandfather, Bernard Seligman (born Bernhard Seligmann), father of my great-grandmother Evalyn (later Eval) as well as Arthur, who would become governor of New Mexico in 1930. 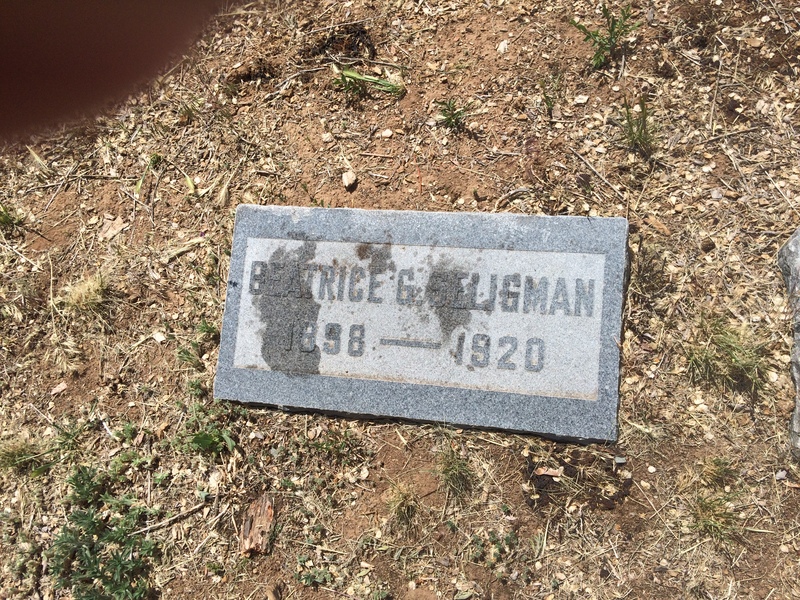 I’ve written a great deal about my Seligmann ancestors—too many posts to try and provide links to here. 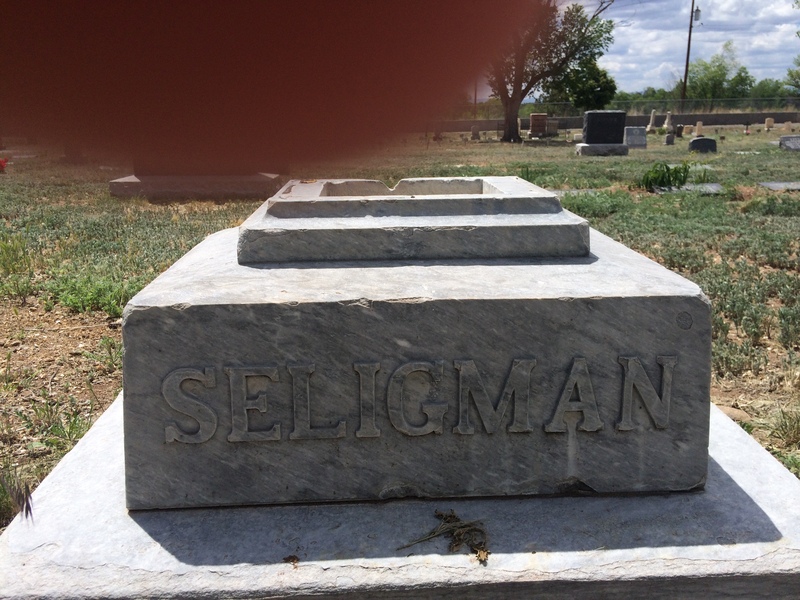 (Just look in the Seligman category to see those posts.) 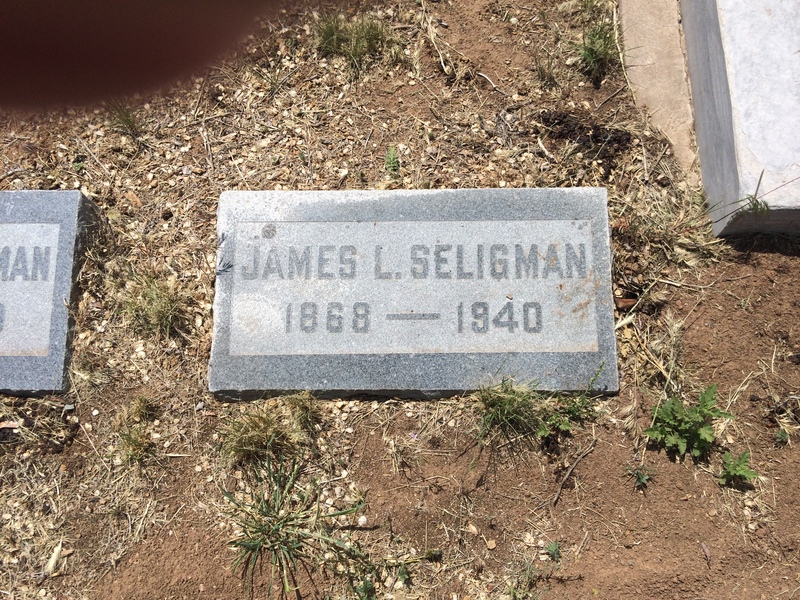 I’ve had great fortune in finding sources not only about the three Seligman brothers who came to Santa Fe, but also about their other siblings, their parents, their grandparents, their descendants, and many of their cousins. 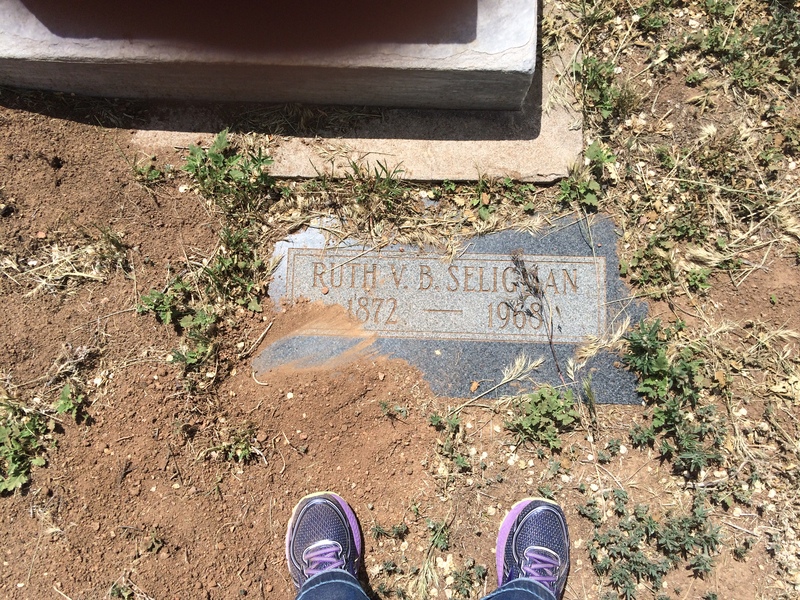 And I’ve been especially blessed to find a number of current living descendants, including my cousin Pete Scott (grandson of Arthur Seligman), my cousin Wolfgang Seligmann, my cousin Angelika Oppenheimer, my cousin Steven Seligman, and so many others. 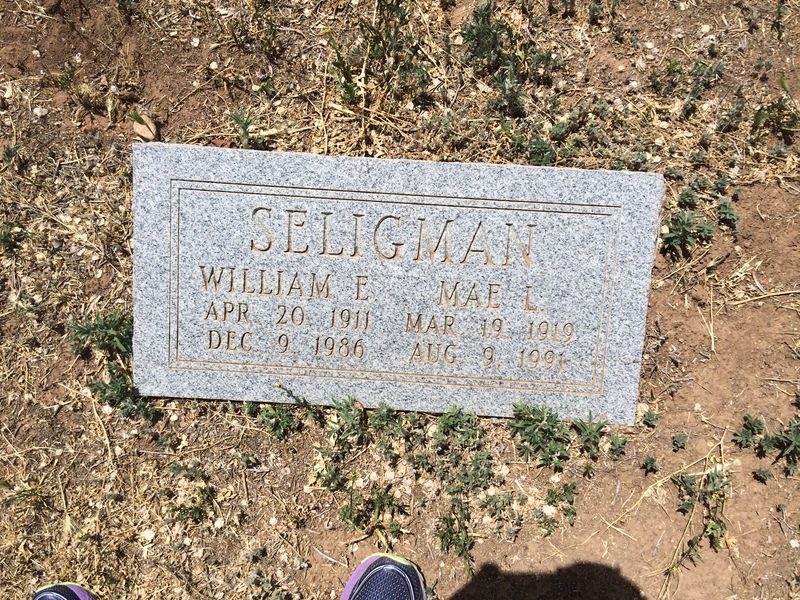 The Seligmann/Seligman line seems to have a strong interest in family history; perhaps this is where my own passion for genealogy comes from, my Seligman DNA. 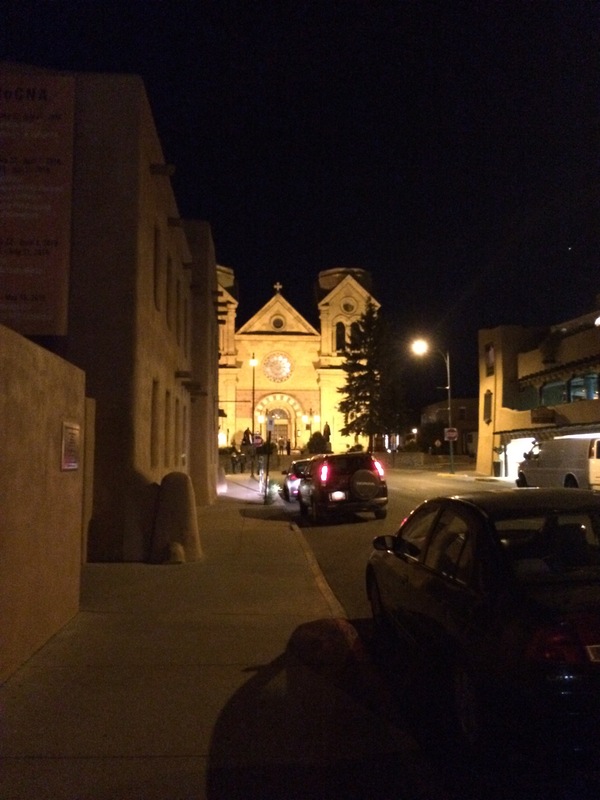 So it should not be surprising that Santa Fe was a city I wanted to visit. It’s a city where my family left a substantial mark and a city that left a substantial mark on them. 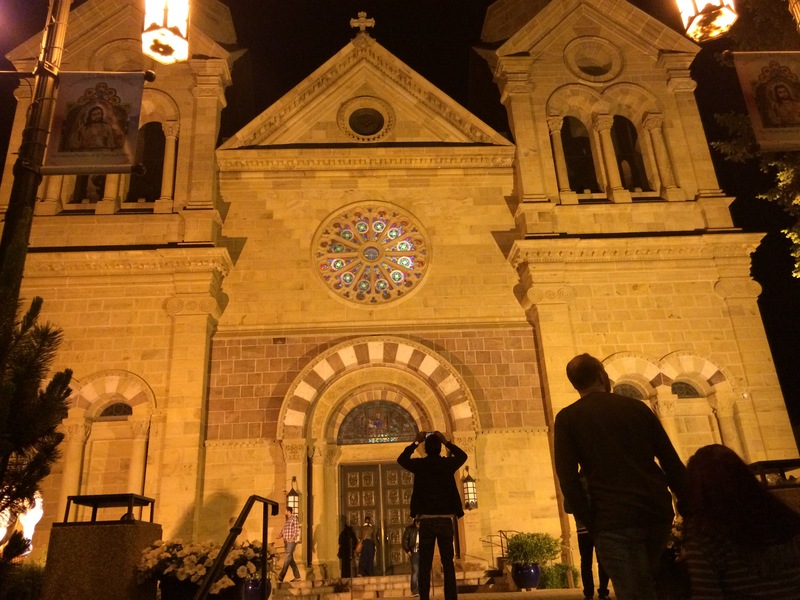 It’s a city with a long and rich history of its own, one of the oldest cities in the United States, and as I learned, one of the most beautiful. 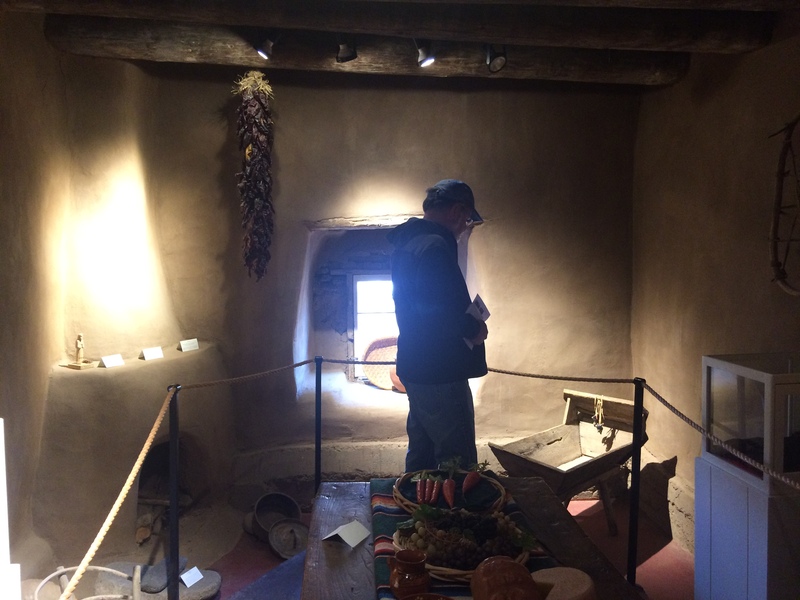 My cousin Pete was born and raised in Santa Fe, and he has done a lot of research and writing about the history of the city including about our family’s history there. 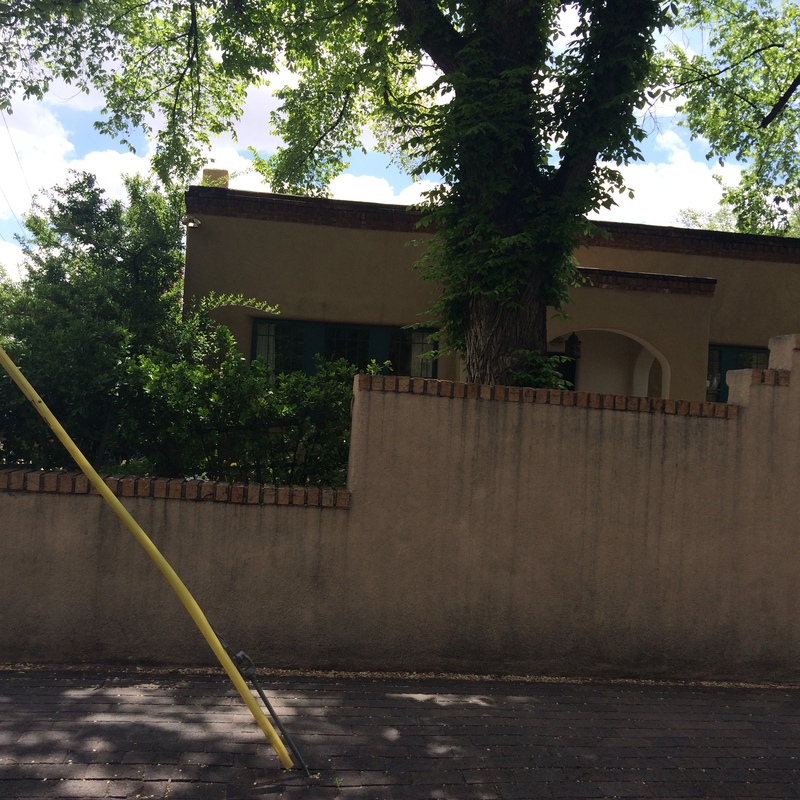 He and his good friend Mike Lord have provided a wealth of information on their website Voces de Sante Fe, and Pete arranged for Mike to meet with us for one of the days that we would be spending in Santa Fe. 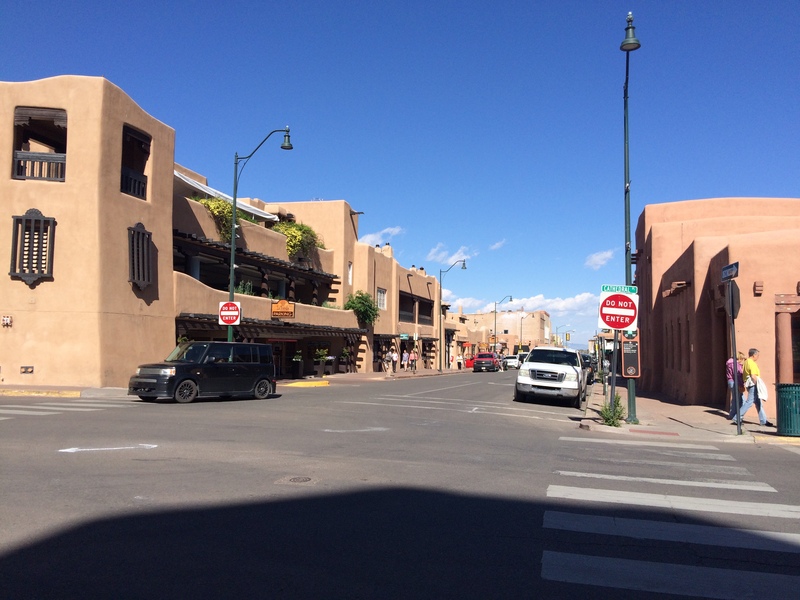 By the standards of most major US cities, Santa Fe is quite small. 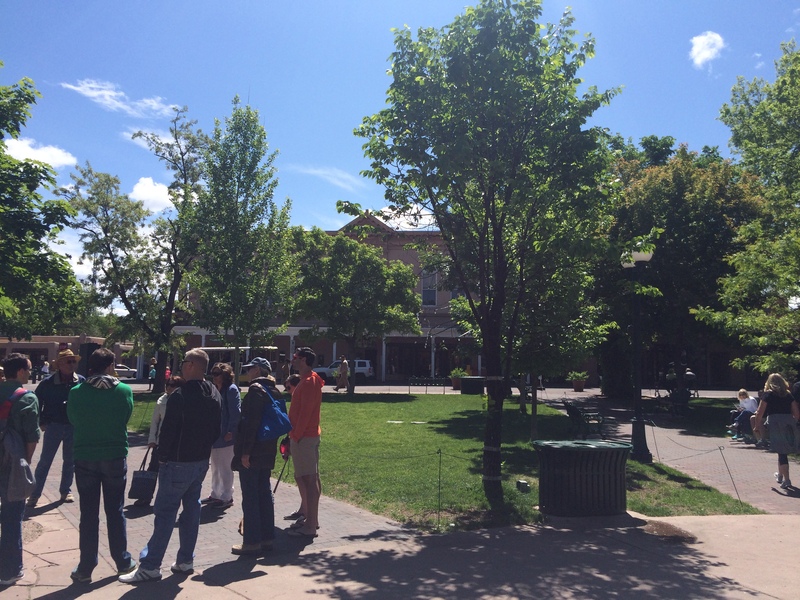 We walked the whole plaza area many times, and most of the major sites in the city are in an area that is no bigger than about two miles square. There are no skyscrapers, and the tallest building we saw in the central part of the city aside from the St. Francis Cathedral was our hotel, which is five stories high. 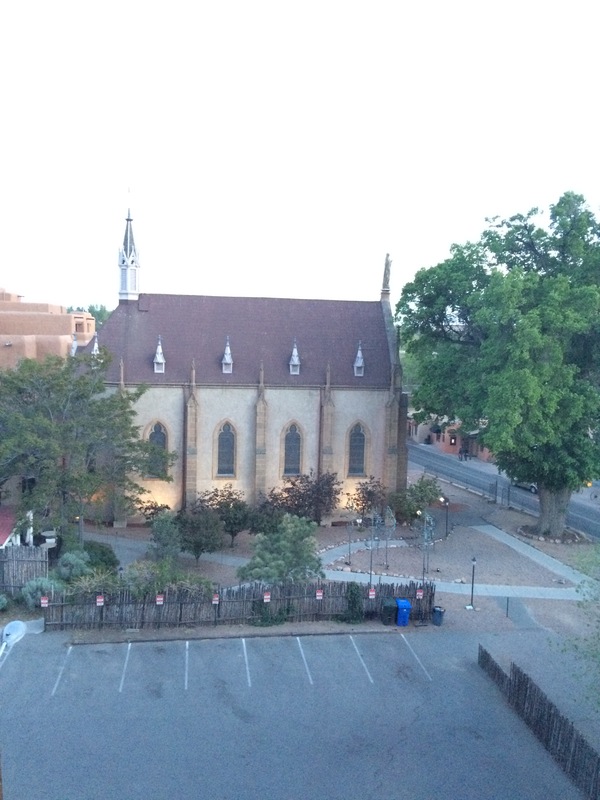 The sky over Santa Fe feels wide open, and the uniformity of the color of the buildings gives the place an aesthetic unity that is both appealing and quite unreal. 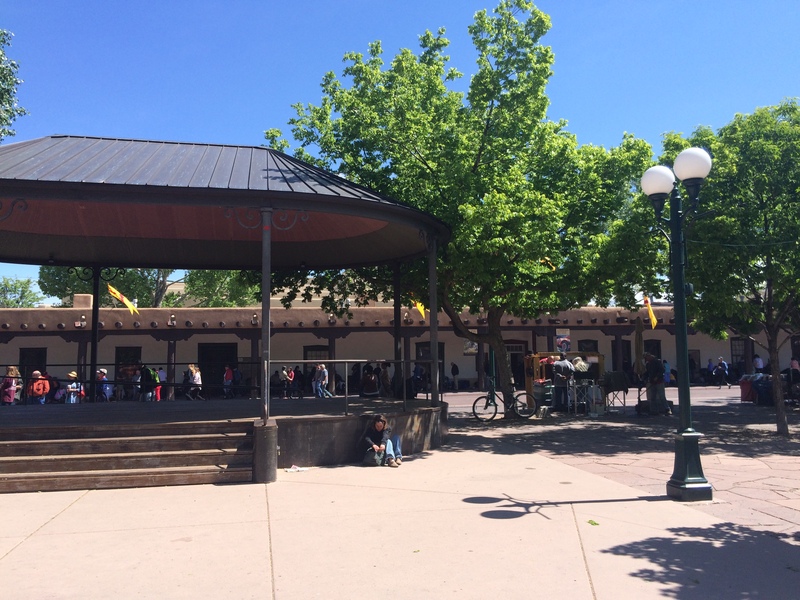 When we met with Pete’s friend (and now our friend) Mike to learn about the history of Santa Fe, he likened Santa Fe to an adobe amusement park. 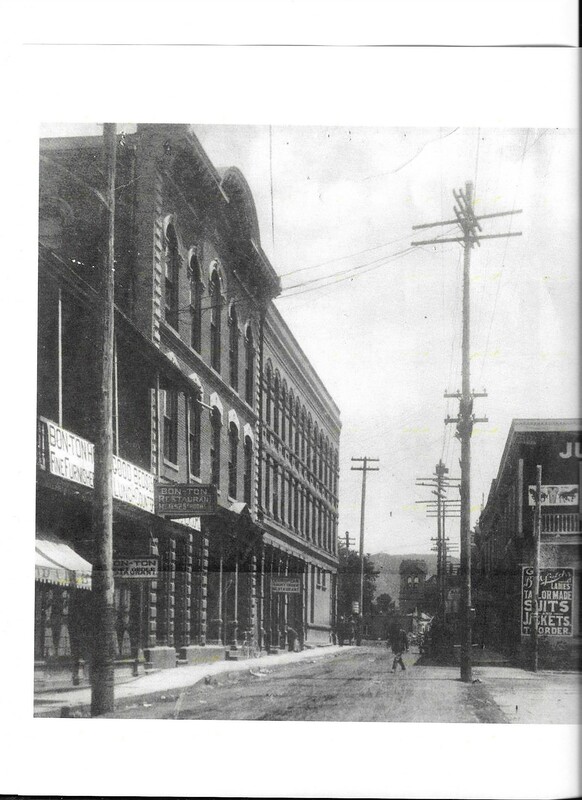 He pointed out that it was not until the 1950s that the uniform adobe look was mandated; historically there was a great deal more diversity to the architecture of the city, as you can see from this photo that Mike shared with us, dated in the 1890s. For a city of this relatively small size, there is an incredible amount to see far beyond my genealogical interests. We loved the Georgia O’Keefe Museum; not only did we get to see that her artistic style had evolved over the years and that that style had a much broader range than the works with which we were already familiar, we also learned about her fascinating life. 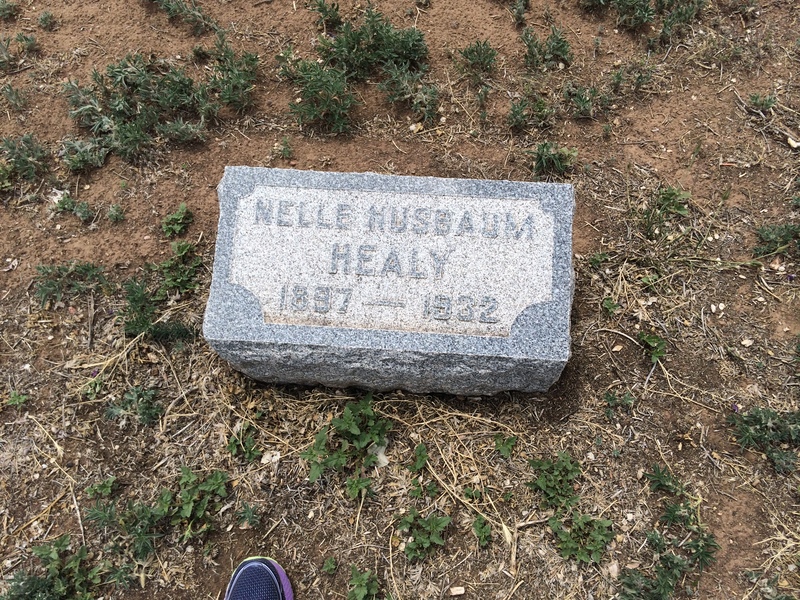 Having driven through the New Mexico landscape, we could understand what drew her and so many artists to this place. 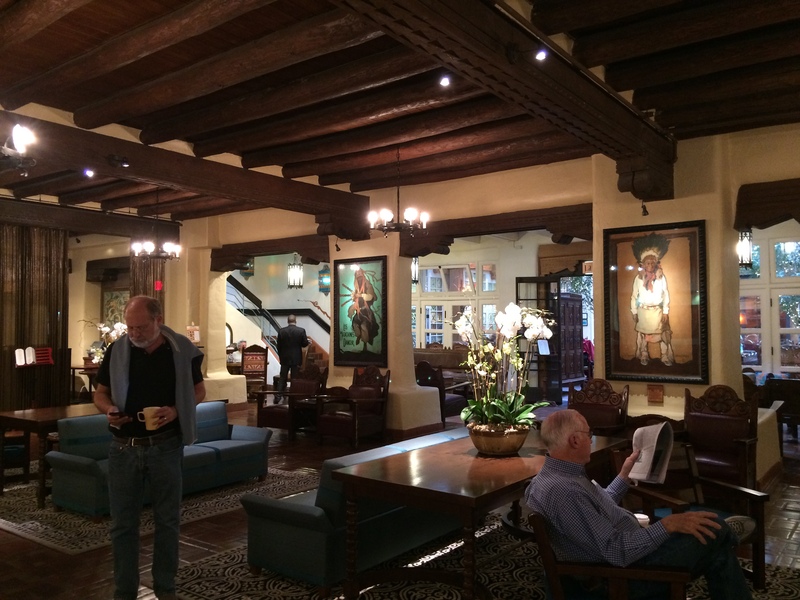 Santa Fe has long been a place that has drawn artists to its light and its scenery and its independent spirit, and we enjoyed strolling through the galleries along Canyon Road and in the plaza area itself to see what today’s artists are creating. 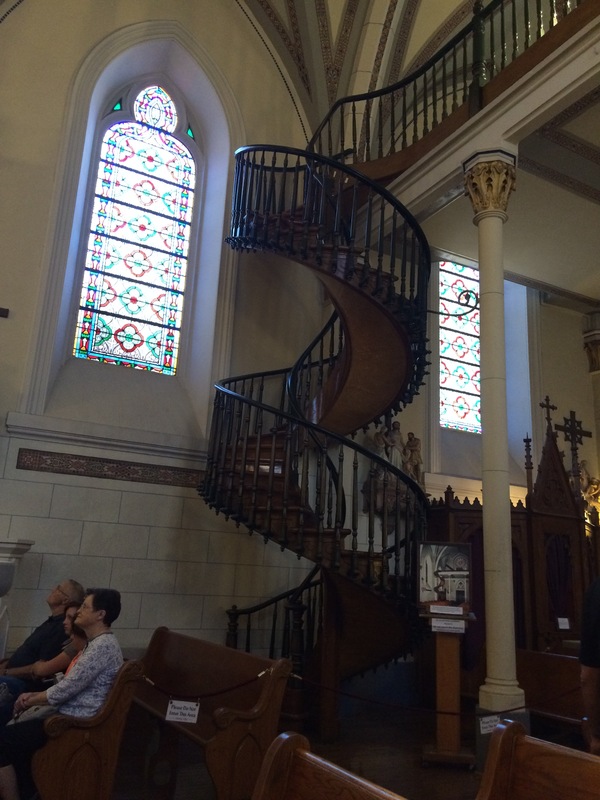 We also enjoyed seeing the miraculous staircase in the Loretto Chapel. 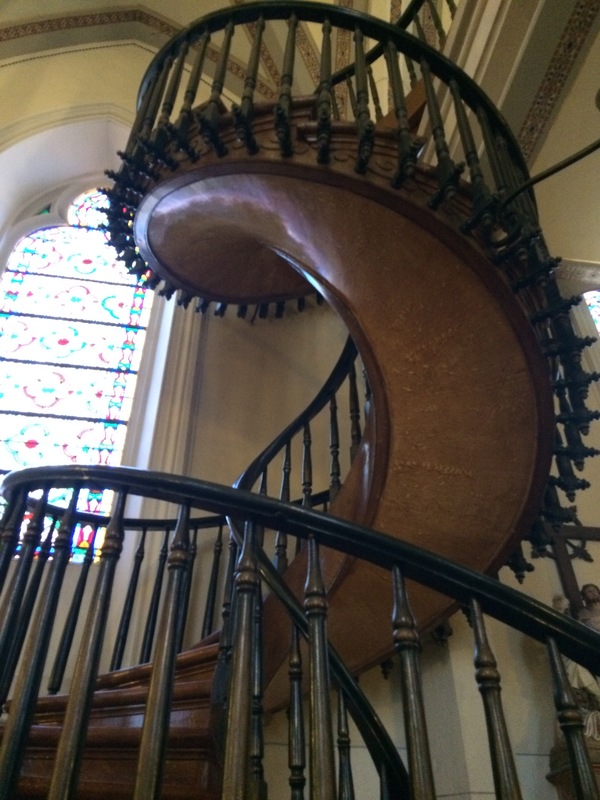 It was built in the late 1870s by a carpenter who claimed he could provide a way to reach the choir loft without taking up too much space in the church’s main level. Somehow he built it without any central support. It’s quite fascinating to see—almost like an optical illusion. 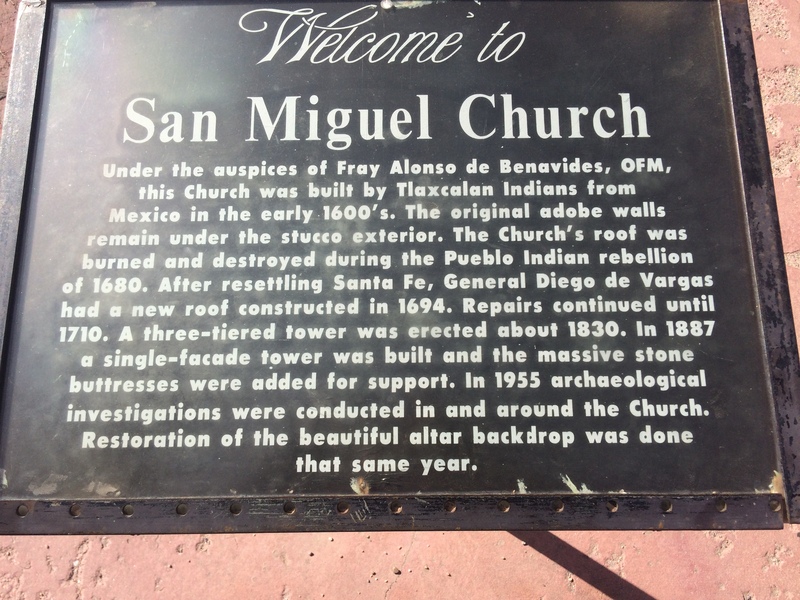 Santa Fe’s long history was evidenced by what is claimed to be the oldest still-standing home in the US, the De Vargas Street house, as well as the first church in the US, the San Miguel Chapel. 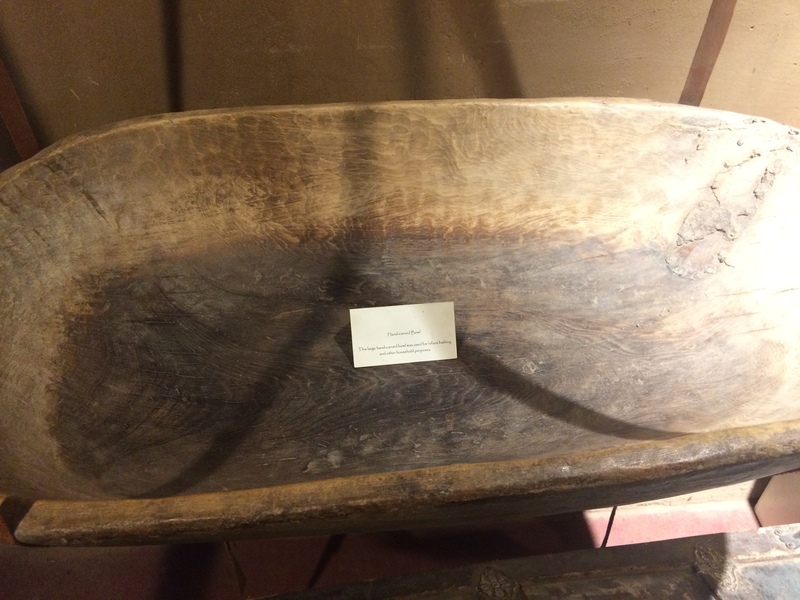 Both date back to the early 1600s. 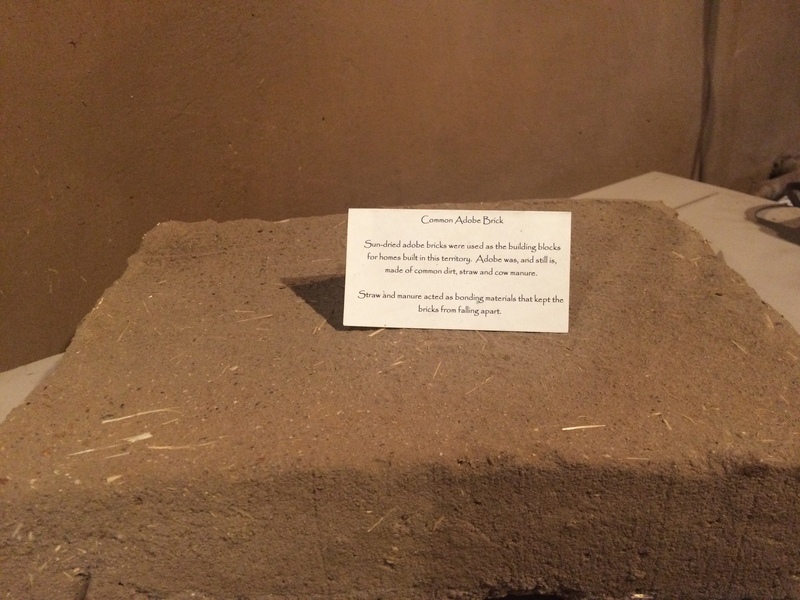 The Spanish came to this area in the late 16th century, making it the earliest European settlement in the US west of the Mississippi River. Among the earliest European settlers were what we now call Crypto Jews, that is, hidden Jews. 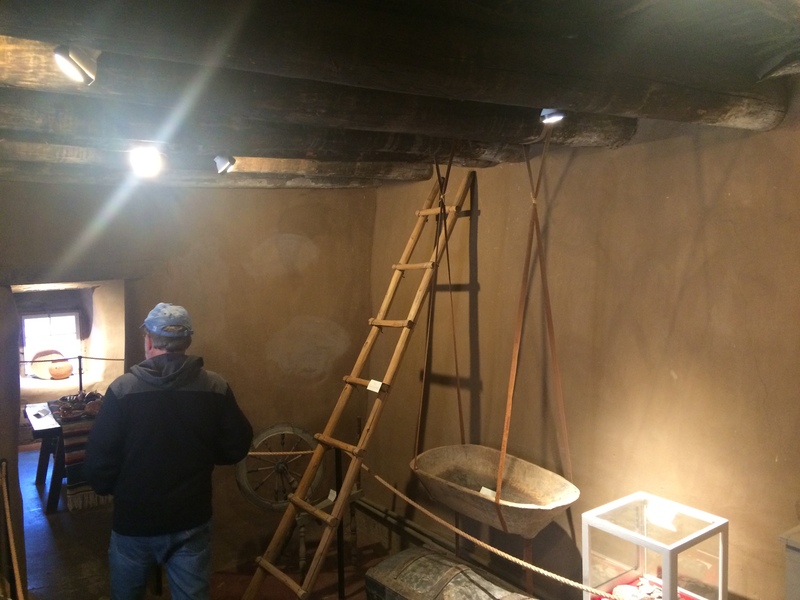 We went with Mike to see a very comprehensive exhibit about the Inquisition and the Crypto Jews at the New Mexico History Museum in the former Palace of Governors in Santa Fe. When the Inquisition began in Spain in 1492, Jews were forced either to leave Spain, convert to Catholicism, or be punished, including by execution. Some of the Jews left with Spanish colonists to go to Mexico, but because they were still within the realm of the Spanish empire, they still had to convert or face prosecution as infidels. 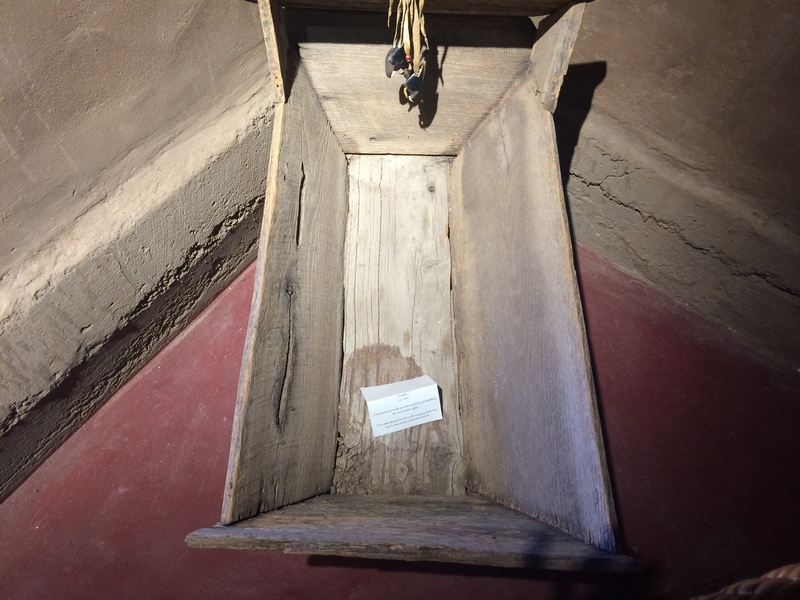 In the 1600s, some of those “conversos” who had gone to Mexico migrated to what would later become New Mexico, but even there they were still subject to the rules of the Inquisition. Many, however, continued to follow Jewish laws and honor Jewish rituals, such as lighting candles on Friday nights, covering mirrors when someone died, abstaining from pork, and going to worship (at church) on Saturday instead of Sunday. 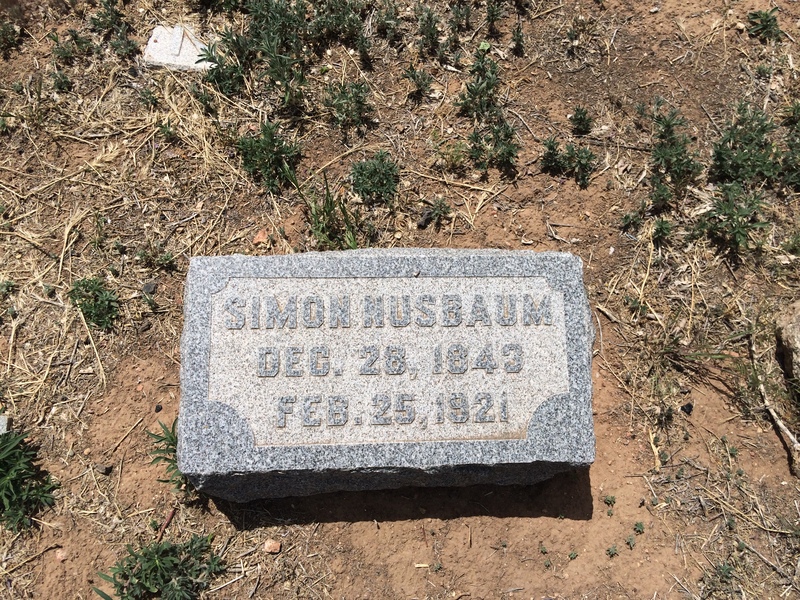 Thus, long before German Jewish merchants like my great-grandfather arrived in Santa Fe in the 19th century, there was a population of people with Jewish roots in Santa Fe and other places in New Mexico, even if they did not outwardly (or even internally) identify as Jews. 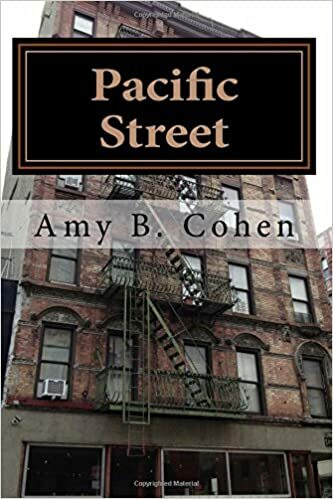 Of course, my principal historical interest was in those German Jewish merchants, the Seligmans as well as their fellow pioneers, the Spiegelbergs, the Staabs, and others. 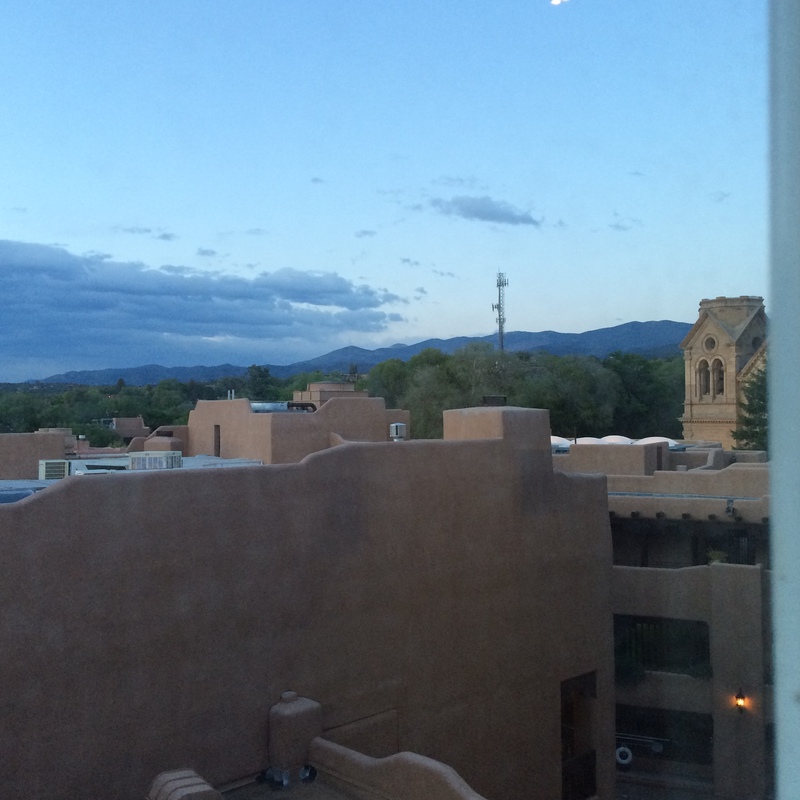 What was Santa Fe like when they started arriving in the 1840s and 1850s? 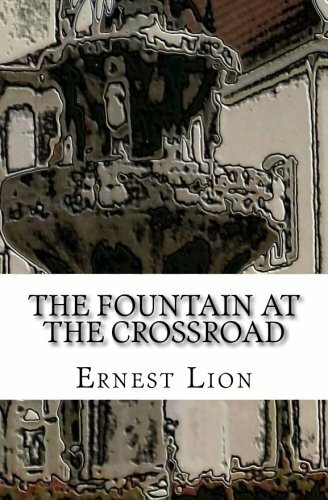 It is hard to imagine what my great-great-grandfather and his brothers thought when they arrived in this place, having come from Germany where there were so many old and grand cities with towering cathedrals and castles. 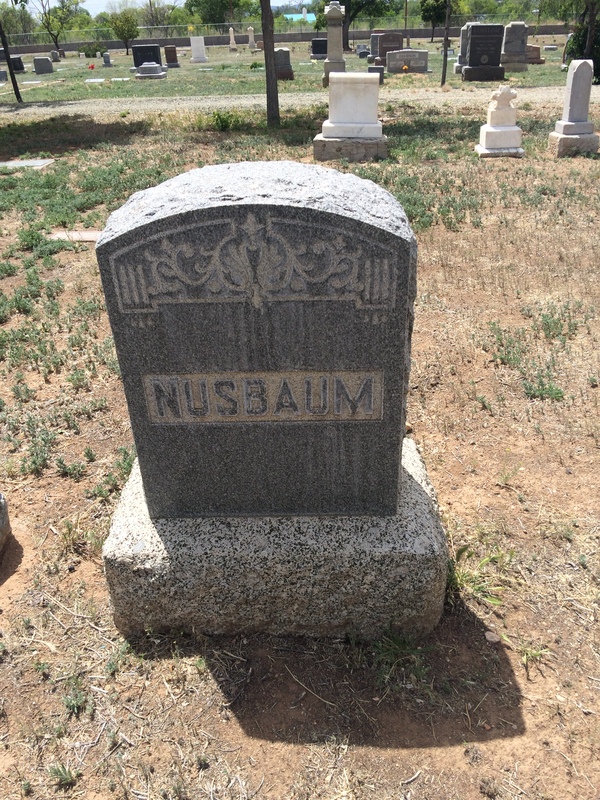 And what did my great-great-grandmother Frances Nusbaum think when she moved from Philadelphia, itself already quite an established city, to be with her husband Bernard Seligman in Santa Fe? 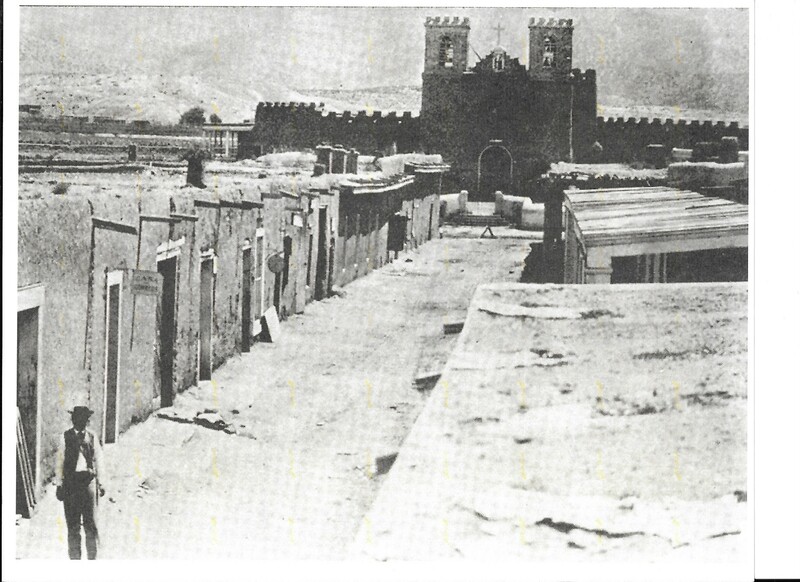 Mike shared with us this photo of Santa Fe from 1855 that conveys just how primitive the town’s architecture was at the time that Bernard Seligman and his brothers arrived there. And where did my ancestors live and work when they settled in this frontier town? 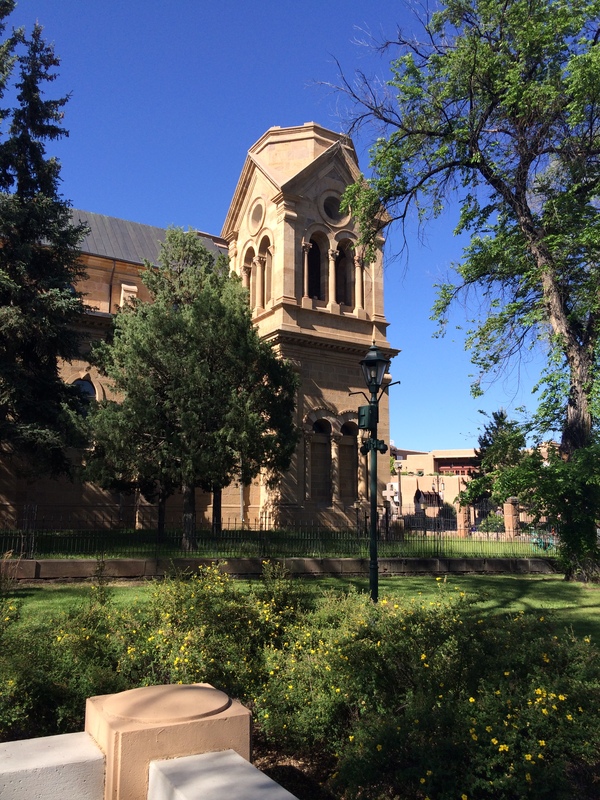 When we were making our travel plans, I had asked Pete where we should stay in Santa Fe, whether there was a place with a connection to the Seligman history there. He suggested La Fonda Hotel. 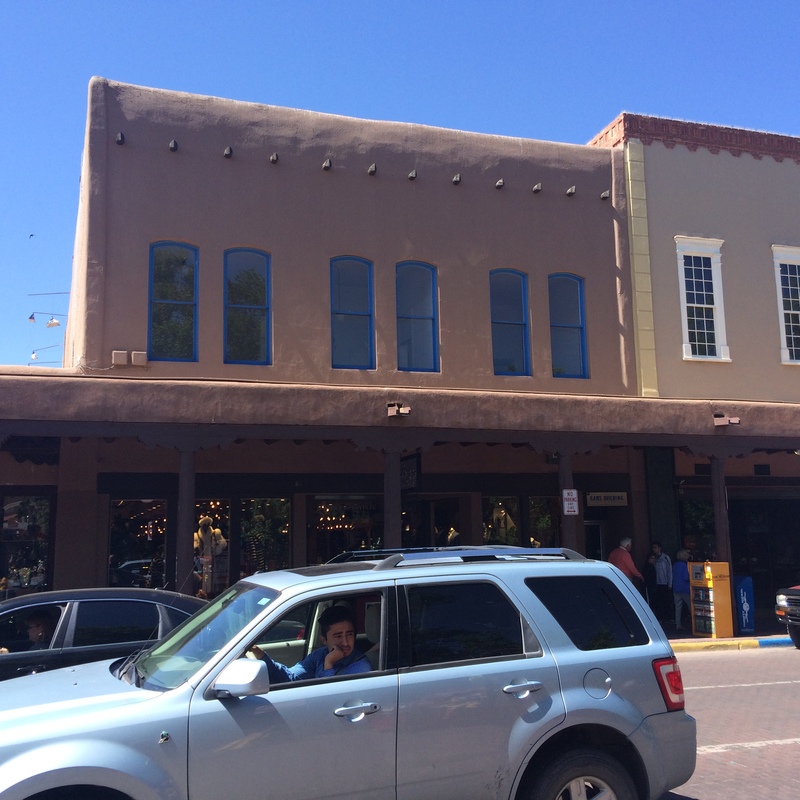 Although the current building was built in the 1920s, it sits on the site of the first hotel in Santa Fe, at one time called the Exchange Hotel. 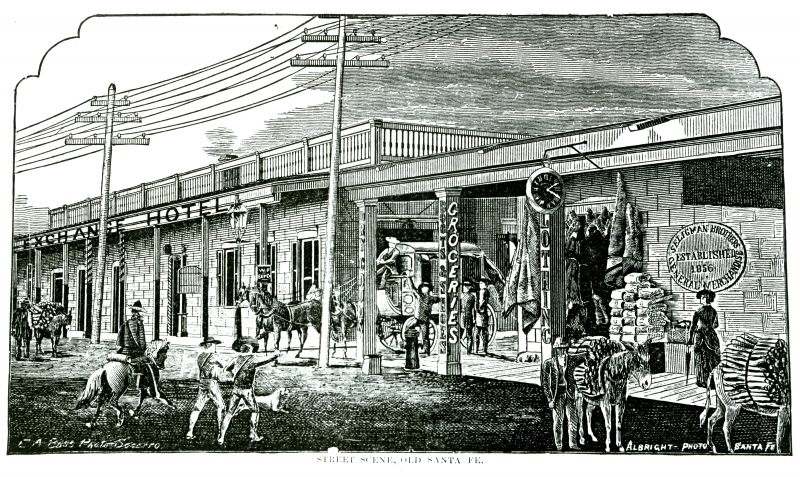 The Exchange Hotel was the building on the other side of the Santa Fe Trail from Seligman Brothers on the plaza in Santa Fe. 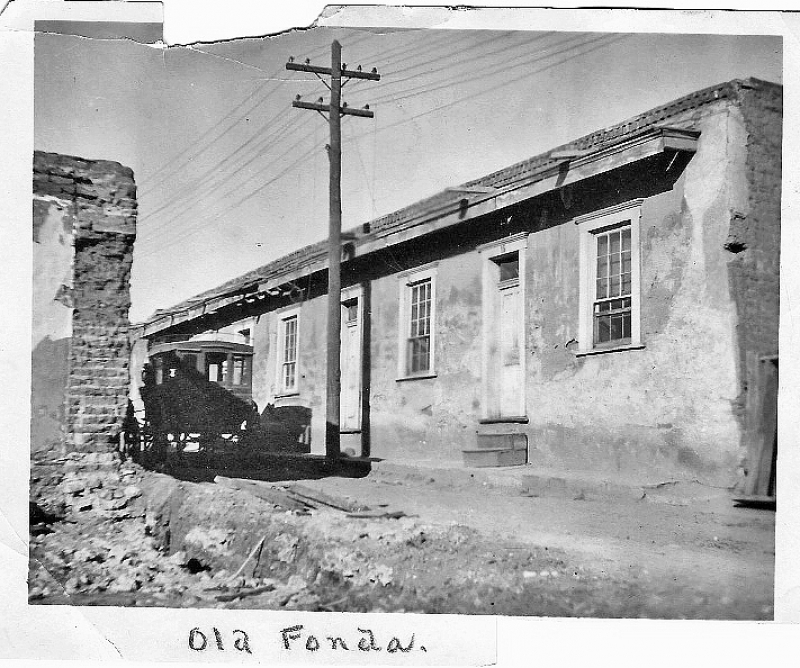 Here is Pete’s post about La Fonda and the history of the hotels built on that site. 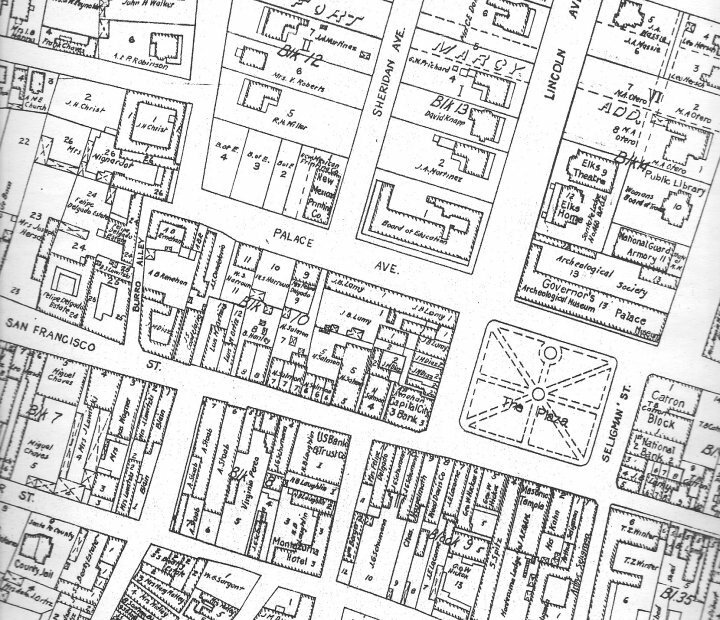 On this map dated 1912, you can see that the street to the right (east) of the Plaza running between San Francisco Street (where La Fonda and Seligman Brothers store are/were located) and Palace Avenue was then called Seligman Street. Thanks to Mike Lord for sending me this map. 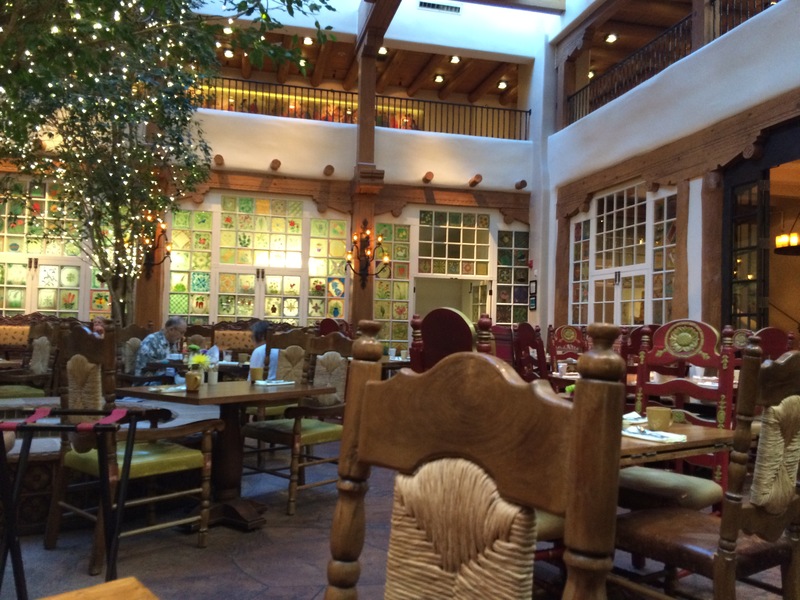 Thus, we decided to stay at La Fonda. It was a wonderful hotel, and we are very grateful to Pete for his suggestion. 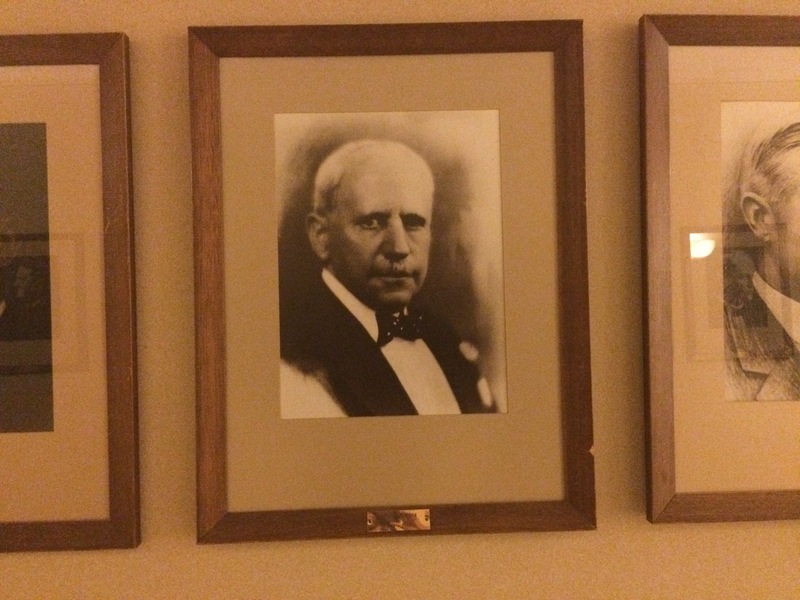 From the moment I walked into the lobby, I knew that I was in a very different part of the country. 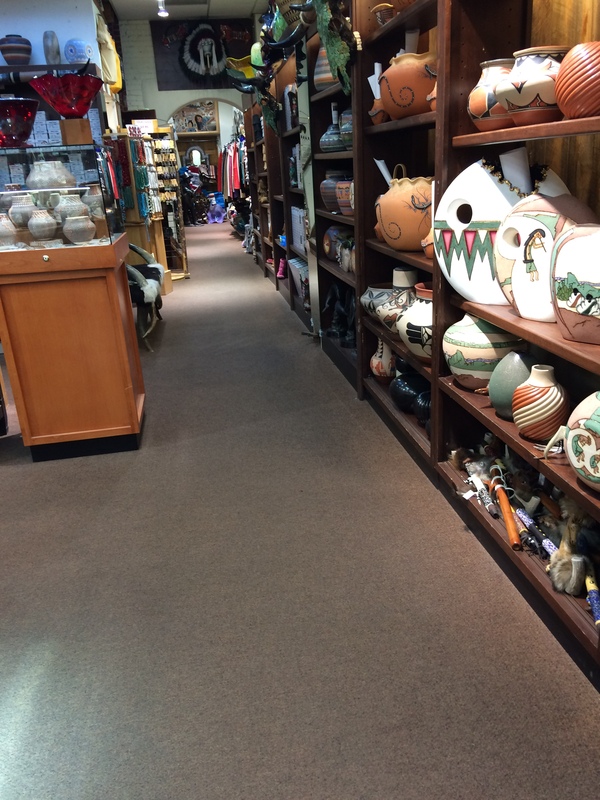 I walked into the store that is currently located where Seligman Brothers’ store once stood, thinking about the fact that I was standing where my great-great-grandfather and his family had once sold dry goods to residents of the area. 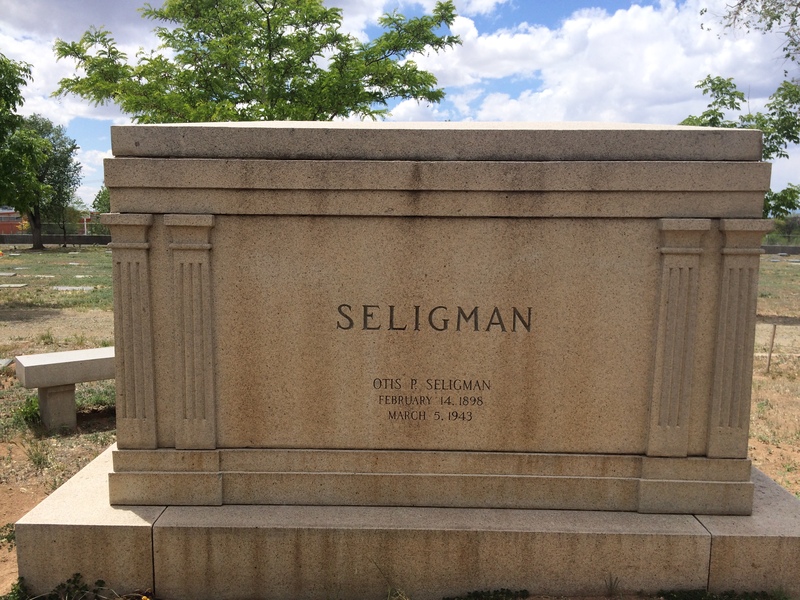 Although census records indicate that the Seligmans at one point lived on Palace Avenue, there are no longer any visible signs in the city to show where Bernard Seligman and his family lived. 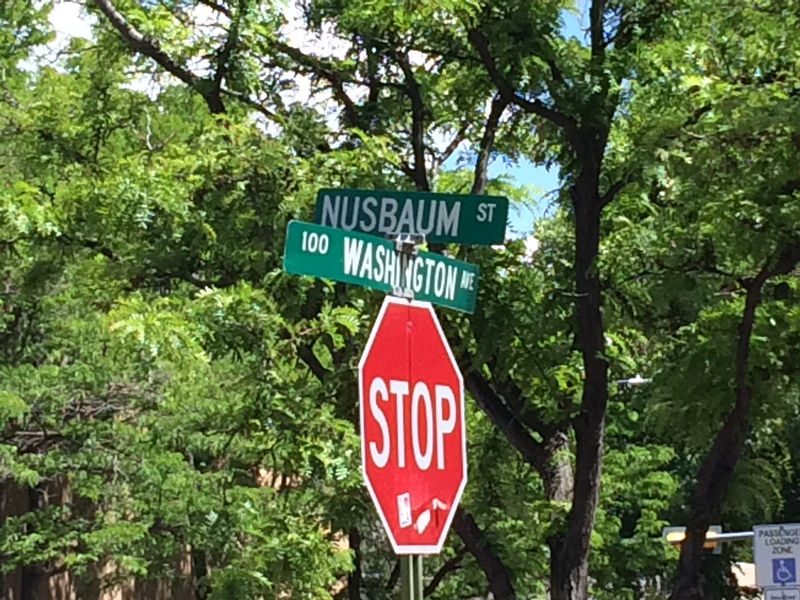 There is, however, a street that was named for his brother-in-law Simon Nusbaum, who had moved to Santa Fe around 1880 and lived with his sister Frances and her husband Bernard Seligman for some time before marrying and living in his own home, which sadly no longer exists. 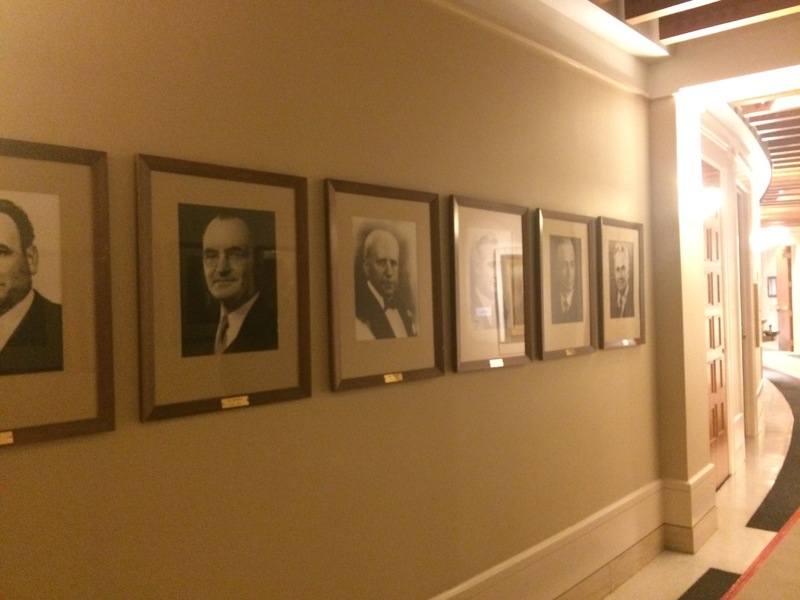 In the New Mexico Statehouse, a quite grand and beautiful building built in 1966 and renovated in the 1990s, there is a gallery of portraits of all the governors of New Mexico from statehood in 1912 through today, and there on the wall was a portrait of my great-great-uncle, Arthur Seligman, governor from 1930 until his death in office in 1933. 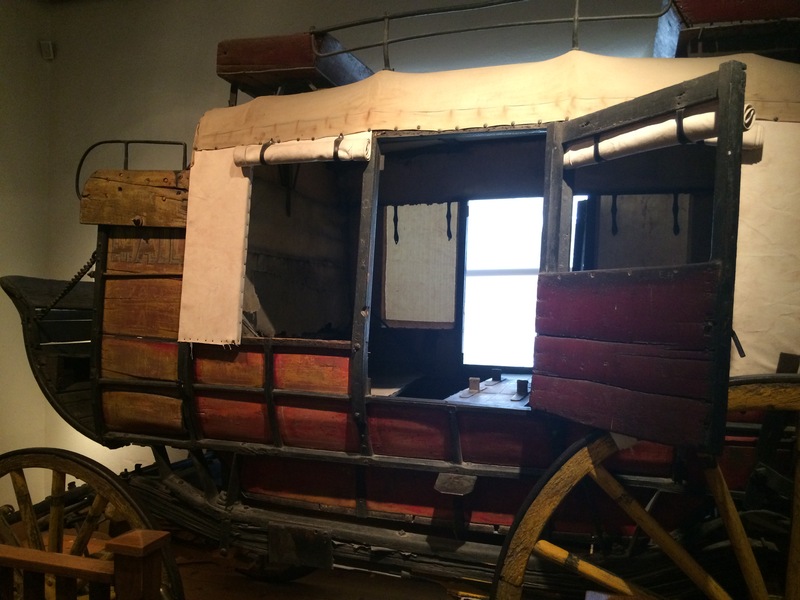 Mike took us to see Arthur’s mud wagon in the New Mexico History Museum and drove us past the house where Arthur and his family had lived in Santa Fe. 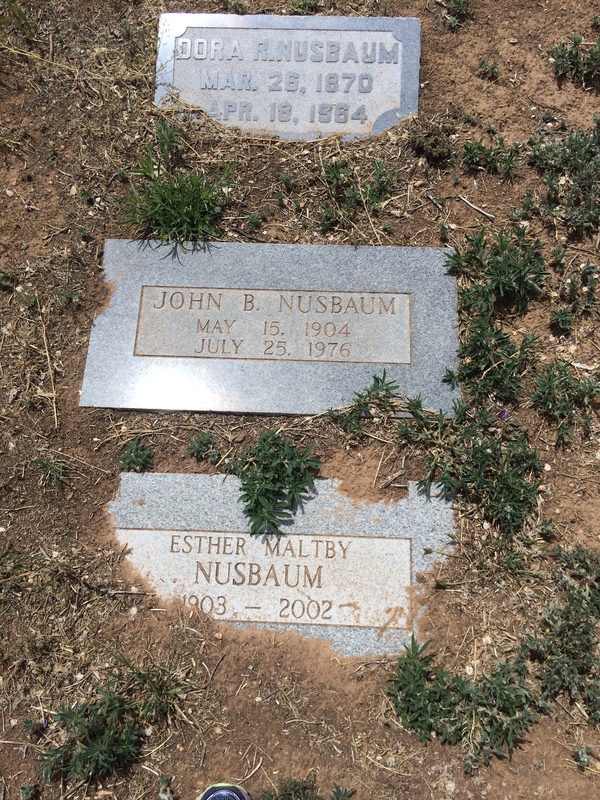 Then he took us to Fairview Cemetery, where many of my Seligman and Nusbaum relatives are buried. Although there was nothing on any of these stones to indicate that these were the graves of Jewish people, I left a stone on many of them, as is Jewish custom when visiting a grave to mark that someone was there to remember them. 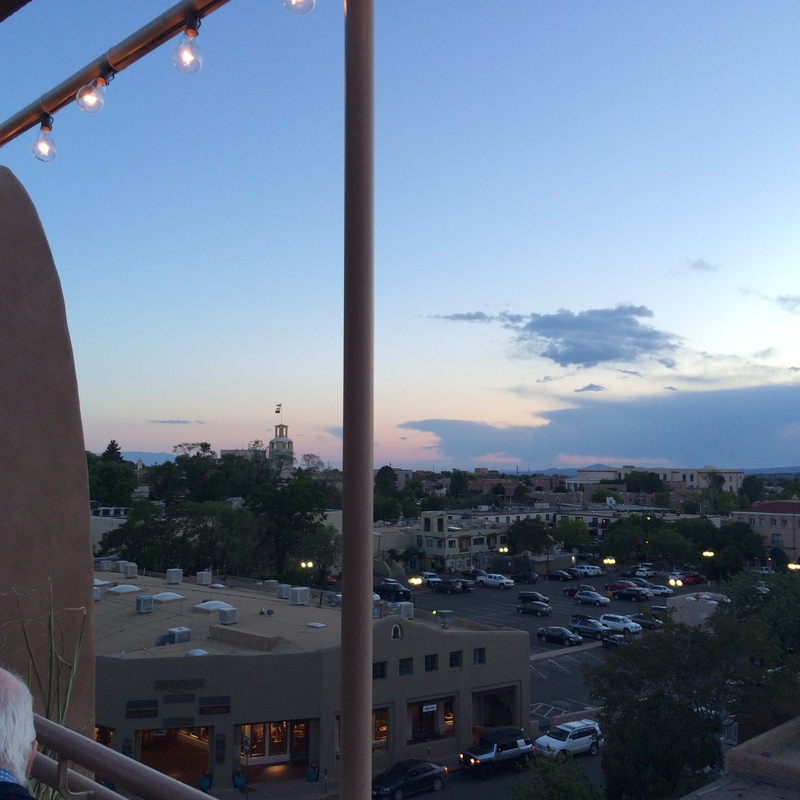 Thus, our days in Santa Fe were a wonderful blend of history, art, architecture, and family history. 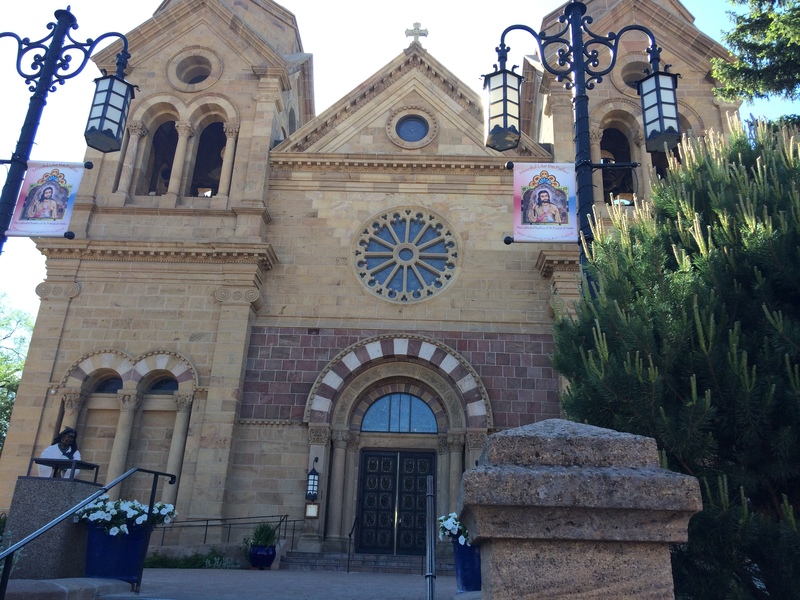 They call New Mexico the Land of Enchantment, and Santa Fe is an enchanting place even if you have no family ties to the place. But for me, it was more than that. Although at times it was hard to imagine what is now very much a tourist-filled place as the old settlement of native Americans, Spanish and Mexican settlers, and then later Anglo settlers like my ancestor, when I could time-travel in my mind to the years when my great-great-grandparents and their children roamed those same streets around the plaza, it was quite magical, and yes, enchanting.